Provide comfort for the family of Cody Brandt (Boutwell) with a meaningful gesture of sympathy. On March 18, 2019 the angels came to take Cody West Brandt (Boutwell) to begin his new reign in heaven as a guardian angel over his family & friends here on earth. He was born on April 27, 1988 in Manistee, the son of Karen Sue (Houseman) Brandt and the late Clynton O. Boutwell. He attended Onekama Schools and Casman Academy. 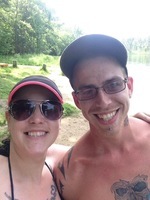 He married Cheyenne Autumn Tyler on November 9, 2014 in Manistee. 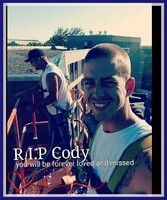 Cody was employed by Northern Restoration and Water Proofing Systems. He loved the outdoors; hunting, fishing, kayaking, and camping with family & friends. He achieved the rank of Eagle Scout at the age of 14. He especially enjoyed spending time with his children and his canine companions. He is survived by his wife; Cheyenne A. Brandt, his children; Destiny Jaiden Marie Tyler, Jaidyn Addison Brandt, Darius Luther Lange, & Soraya Skye Brandt, his mother; Karen Sue Brandt, his sister; Amanda L. (Brandt) Roberts, grandmother; Patricia Houseman, and his extended family; Ashley Carlson & Payton Bussa, stepmother; Joycelyn Deacons, & beloved canines; Dozer & Hercules, father & mother-in-law; Steven & Connie Tyler, sisters-in-law; Skia (Scott) Stallings, Aaya (Justin) Brown, & Myriah (David) Lewis, brother-in-law; Lakota ( Amber) Tyler, Aunts & Uncles; Debra (Robert) Brewer, John (Donna) Houseman, Richard (Sissy) Boutwell, Thomas “Dave” Boutwell, Ester Boutwell, Evelyn (Clayton) Boutwell, & Hoil (Cissy) Boutwell and families, cousins, Bret & Rachel Brewer & children (Lily, Bryce, & Vivian), Rhet Brewer & children (Tia & Trent), Amber Houseman, Amy Fowler, & David (Corrine Densmore) Houseman & family (Zion). He was also preceded in death by his maternal grandfather; David C. Houseman, his paternal grandparents; J.L. & Sweetie Boutwell, and uncle & aunts; Robert Hadley, Ray Weaver, Neal Boutwell, Don Boutwell, Ethel Boutwell, & Yvonne Boutwell. A Celebration of Life for Cody will be held Wednesday, March 27, 2019 at 1:00 PM at the Manistee Church of Christ, 1876 Parkdale Avenue. Expressions of sympathy to assist with final expenses may be directed to the family. Please visit Cody’s personal page of memories at www.oakgrovefh.com for additional information and to share a story or photo. 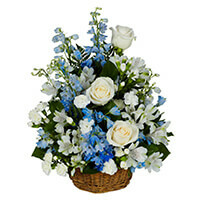 Arrangements by Oak Grove Funeral Home & Cremation Center in Manistee. 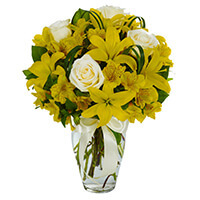 To send flowers in memory of Cody West Brandt (Boutwell), please visit our Heartfelt Sympathies Store. We encourage you to share your most beloved memories of Cody here, so that the family and other loved ones can always see it. You can upload cherished photographs, or share your favorite stories, and can even comment on those shared by others. Uncle John and Aunt Donna, Amy Fowler, and others have sent flowers to the family of Cody West Brandt (Boutwell). You will be forever in our hearts. Love you always . Uncle John and Aunt Donna purchased the BRIGHTEST MEMORIES for the family of Cody Brandt (Boutwell). In loving memory of Cody. Amy Fowler purchased the PEACEFUL WISHES BASKET for the family of Cody Brandt (Boutwell).